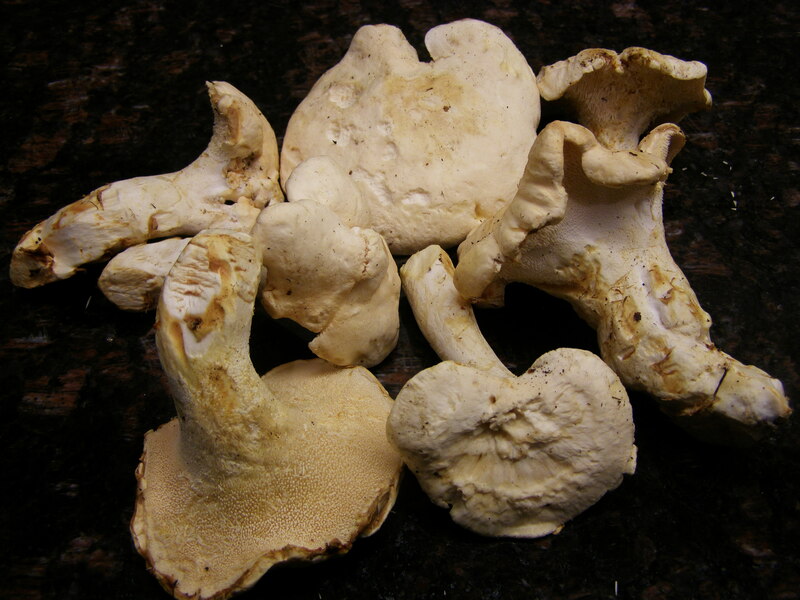 November is getting late in the season for chanterelles, but nature is kind to us on Vancouver Island as the even better Hydnum Repandum or hedgehog mushroom is now prime in old-growth forests. We found two kinds, the small orangey cream and the larger and rarer almost white kind. They both taste incredible, I only prefer the larger one because it takes much less time to pick! Unless we get snow at low altitude, we will be picking until Christmas. After brushing off any moss and dirt, I just fry them a good 5 minutes in a bit of duck or bacon fat or olive oil with 2 tbsp sun-dried tomatoes and one sliced shallot. I add parsley at the end and butter is also optional. They are good with anything but they are so tasty on their own that I would recommend eating them just with toasted baguette on the side. 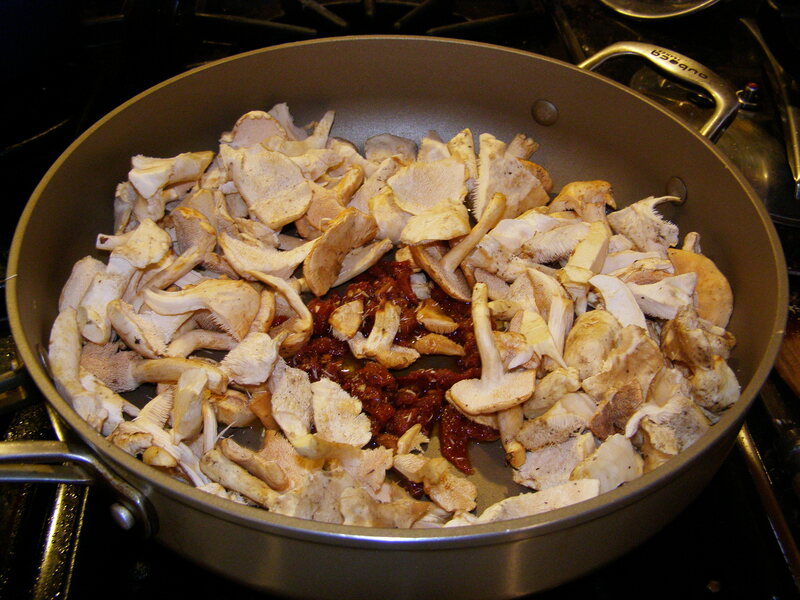 It is best not to wash mushrooms with water as they absorb it and will boil in their own juice when you cook them. Most mushrooms have gills, veins or pores, but the hedgehog is easy to identify with all the little spines under the cap. 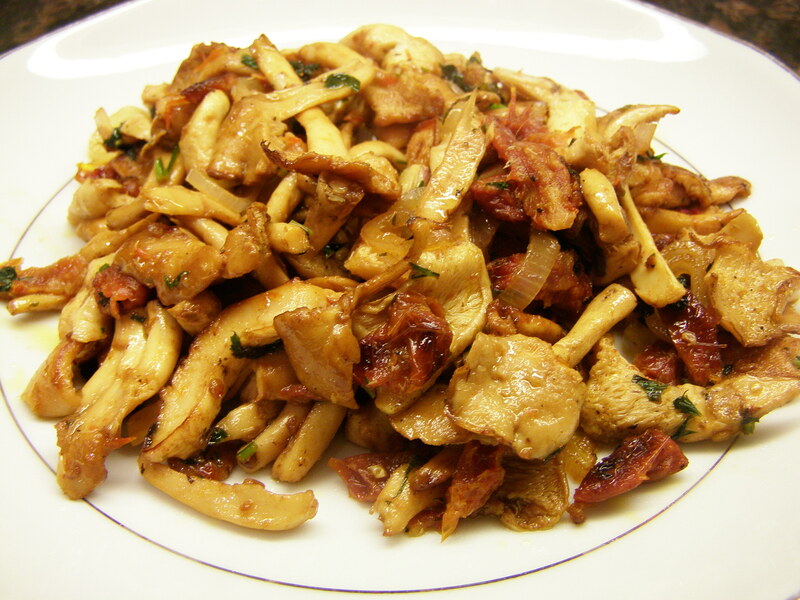 This entry was posted in Side and tagged cooking, food, hedgehog, hydnum repandum, mushroom, recipe, recipes, wild mushroom. Bookmark the permalink.